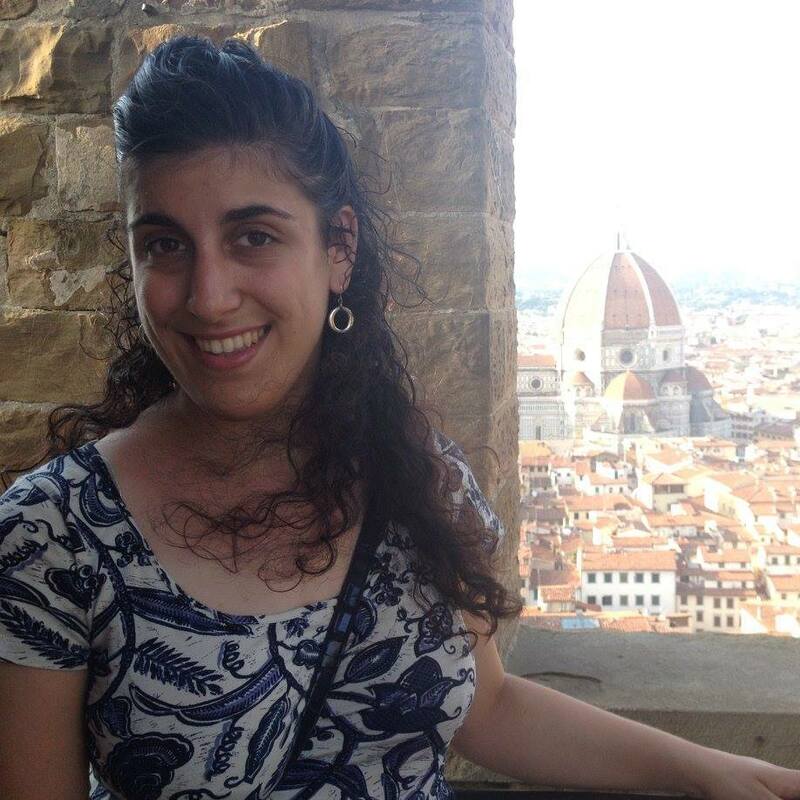 Thanks to generous private support, the Carolina Center for Jewish Studies is able to offer several different types of grants supporting graduate student research and travel. There are several types of grants available: Research and travel grants, Browning Holocaust studies research and travel grant, Marcie Cohen Ferris Jewish American Studies/Jewish Gender studies research and travel grant, summer stipends, and the Goodman dissertation completion grant. All grant applications are due by February 25, 2019 at 5:00pm. Deadline: February 25, 2019 at 5:00pm. With these grants, the Carolina Center for Jewish Studies supports graduate student research and travel, including travel to present papers at scholarly meetings. This grant can be used to reimburse travel costs pertaining to research projects and/or costs for materials required for research, as well as to reimburse costs for travel, room, board, and registration costs at domestic or international conferences. Applicants must be graduate students working on a topic in Jewish Studies. Students applying for grants to present at a conference must already have a paper on a Jewish Studies topic accepted for delivery at an academic conference. Please note that for scholarly meetings, the maximum amount of support is $1,000 for a domestic conference and $2,000 for an international conference. $1,200) Deadline: February 25, 2019 at 5:00pm. With these grants, the Carolina Center for Jewish Studies supports undergraduate and graduate student research and travel related to the field of Holocaust studies. This grant can be used to reimburse travel costs pertaining to research projects and/or costs for materials required for research as well as to reimburse costs for travel, room, board, and registration costs at domestic or international conferences. Students applying for grants to present at a conference must already have a paper on a Holocaust Studies topic accepted for delivery at an academic conference. Please note that for scholarly meetings, the maximum amount of support is $1,000 for a domestic conference and $1,200 for an international conference. Applicants must be undergraduate or graduate students working in Holocaust Studies. NEW in 2019: Frances Carol Eizenstat Student Travel grant (award amounts: up to $2,500) Deadline: February 25, 2019 at 5:00pm. 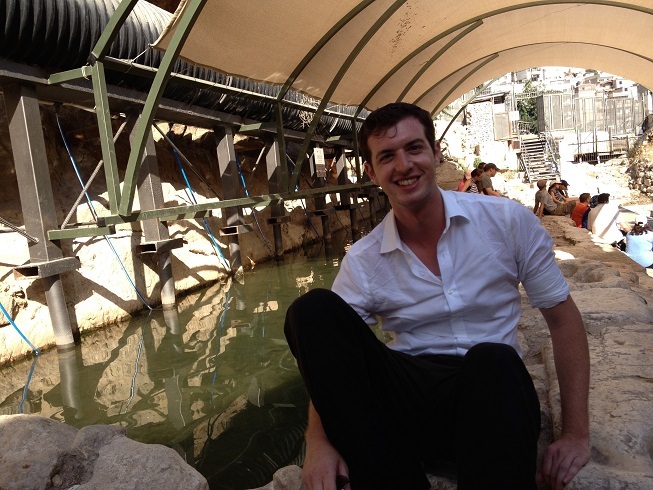 With this grant, the Carolina Center for Jewish Studies supports undergraduate and graduate student travel to sites in Eastern Europe, the Middle East and around the world that are significant for understanding modern Jewish history. Applicants must be undergraduate or graduate students working in the field of Jewish Studies. 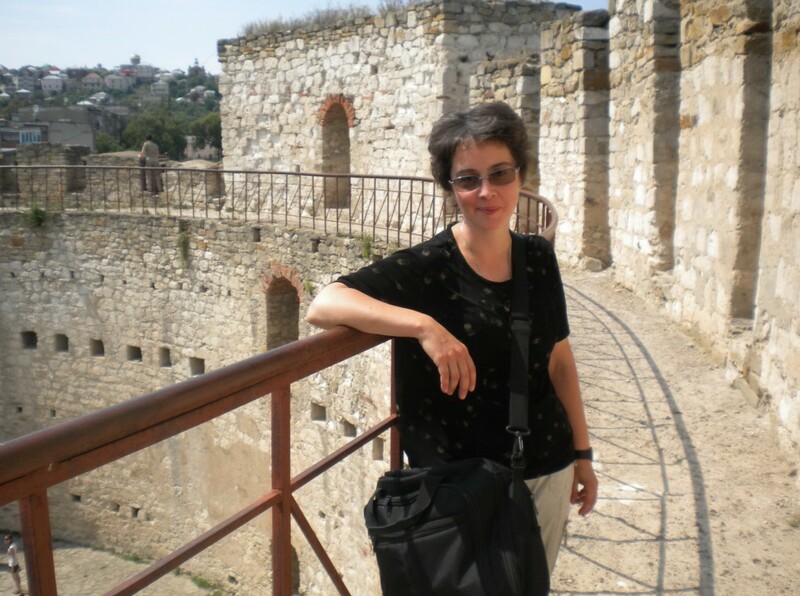 NEW in 2019: Marcie Cohen Ferris Research and Travel grants (award amounts: up to $1,200) Deadline: February 25, 2019 at 5:00pm. With this grant, the Carolina Center for Jewish Studies supports undergraduate and graduate student research and travel in the fields of American Jewish Studies and/or Jewish Studies Gender Studies. This grant can be used to reimburse travel costs pertaining to research projects and/or costs for materials required for research as well as to reimburse costs for travel, room, board, and registration costs at domestic or international conferences. Students applying for grants to present at a conference must already have a paper on a American Jewish Studies or Jewish Gender Studies topic accepted for delivery at an academic conference. Please note that for scholarly meetings, the maximum amount of support is $1,000 for a domestic conference and $1,200 for an international conference. Applicants must be undergraduate or graduate students working in Jewish Studies. The purpose of this stipend is to provide support to graduate students working in Jewish Studies who normally do not have sources of support during the summer months. 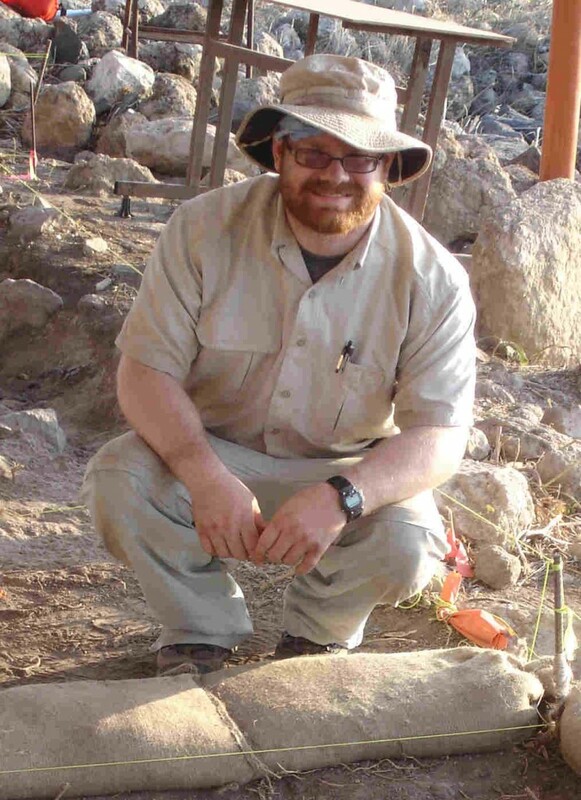 The summer stipend is designed to enable students to focus exclusively on their research and move forward more quickly toward the completion of their degree. Applicants must provide information on all funding for which they have applied, and all funding that has been received, including teaching and research assistantships for every semester they have been enrolled, inclusive of each summer since first enrollment in their graduate program. The Director of Graduate Studies will need to confirm this information in their nomination statements for each nominated applicant. This fellowship is designed to support graduate students by providing three summer months of funding in which the student can focus exclusively on his/her own research, under the guidance of his/her faculty mentor. Only students who will be fully enrolled for both the spring semester and fall semester before/after the summer of the award are eligible to apply. In order for the student to be able to devote her/himself exclusively to this summer research, it is expected that the student will not be enrolled in any courses or hold any TA, RA or other service position throughout the summer months. Students who have completed most or all of their coursework and preliminary exams and who are ready to focus on their dissertation research will be most competitive for this award. Please note that students are not eligible to apply if they currently have a 12-month fellowship or other funding covering the summer, including financial support from teaching online or summer courses. Eligibility: Applicants must be full-time Carolina graduate students for whom Jewish Studies represents a significant portion of their research interests. All graduate students who receive grants from the Carolina Center for Jewish Studies will be expected to complete a brief follow-up report within six weeks of completion of the grant. Application Procedures: Only completed applications will be considered. 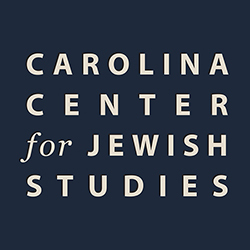 All grant applications require a Carolina Center for Jewish Studies cover sheet or application form. Download and complete the appropriate form for the grant or grants for which you wish to apply, and email your completed application materials in a single PDF file to jewishstudies@unc.edu. 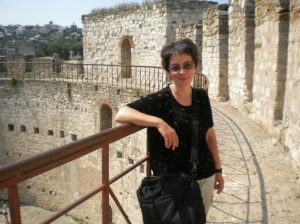 This fellowship will be used to support a graduate student in Jewish Studies with a competitive non-service fellowship. This non-service fellowship supports a promising graduate student working in Jewish Studies in the advanced stages of his or her career at Carolina. The Goodman Dissertation Fellowship enables a student to focus full time on his or her scholarship, improving quality and shortening the time required to complete a Ph.D. degree. Eligibility: This fellowship is available to all students in doctoral programs at Carolina whose work makes a contribution to the interdisciplinary field of Jewish Studies. This fellowship is designed to support students during their final years of graduate study. Priority may be given to students with a formally approved dissertation prospectus, but students with a clearly defined project without an approved prospectus are also encouraged to apply. Engagement in research: Students who accept this fellowship must be engaged full-time on research and/or writing of the dissertation, including regular communication with their advisor. Outside Employment: No service award, fellowship, scholarship or outside employment may be held during the award period without prior permission from the Carolina Center for Jewish Studies. Reporting: Students who receive a graduate fellowship from the Carolina Center for Jewish Studies will be expected to file a 3-page report detailing their progress at the end of the fellowship year and may be asked to give a presentation on their research to the advisory board of the Center. Award: Awardees receive a competitive $18,000 stipend, plus payment for the three-credit dissertation tuition, fees, and health insurance for one academic year.